Is there already an Anne Anne Anne thread? I couldn't find one. I just saw a commercial with Anne Hathaway: she's the spokeswoman for the new Lancome fragrance "Magnifique". She is beyond gorgeous, truly magnifique! She could sell library paste! LOL - so true! I do admire Anne, I think she's a talented and beautiful actress and she's got a lot of style and class. Plus she seems like a nice person, and a woman with considerable staying power - given the recent turbulence in her life. Has anyone seen "Get Smart"? I haven't, it hasn't premiered here yet.... but the trailer was shown here with Mamma Mia and it looks quite fun. Well, I had to google 'library paste' LOL. Is that a common expression? Otherwise I have no idea how you'd go from Anne Hathaway to library paste. I don't know this new fragrance. But I really like Lancôme's Trésor. Very nice perfume. Yees! I loved Get Smart. Having grown up with the campy TV series, I was concerned. However, it was a lot of fun, and Anne was particularly elegant and deadpan as Agent 99. Actually, Fabienne, I just made it up! 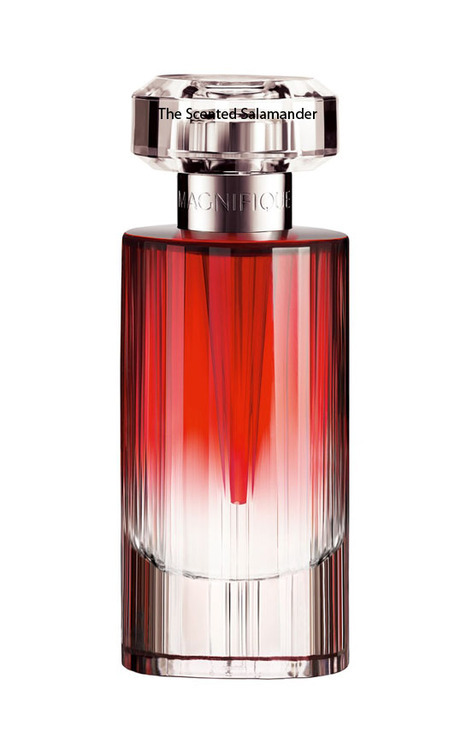 Apparently, Magnifique is unusual in that is has a woody base, not typical in a women's perfume. She looks so Audrey Hepburn in this photo, but she certainly has a look of her own. Finally! An Anne Anne Anne! Thread! I was wondering about that, too, and felt that this part of the board was a bit on the 'one-less' side. But now, hurray! Btw, the pictures of Anne are lovely. She's very beautiful.